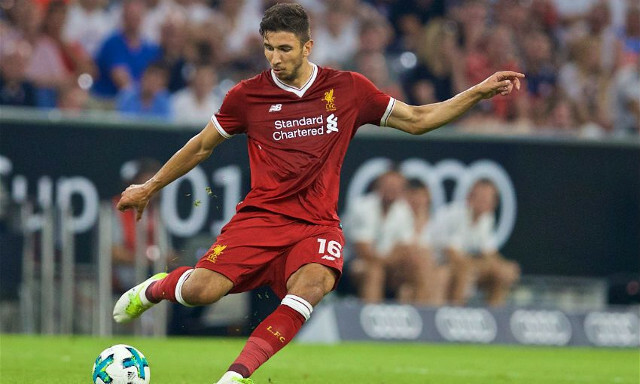 Marko Grujic will depart Liverpool on loan in January, if his agent Zoran Stojadinovic gets his way. The Serbian midfielder hasn’t been able to force his way into Jurgen Klopp’s transfer plans since arriving at the club in January 2016 – and has yet to start a game this season. He’s 21-year-old and a full international, so we can understand why Grujic’s representative is so keen for his client to get minutes elsewhere. Interestingly though, Stojadinovic claims he’ll only sanction a deal to an English club, recognising how Lazar Markovic’s stock fell when exiting to various European sides. “Grujic has to go somewhere in January in a loan, in a team where he will play,” Stojadinovic told Sky Sports. “It must be an English club, so as not to make a mistake like Lazar Markovic did. Had Lazar been my client, I would never advise him to leave England. Marko Grujic is a full Serbian international. When Grujic first arrived, his form during pre-season in 2016 convinced us we’d signed a phenomenon. But injuries ruined his debut campaign and he’s simply not had the chances since for us to make a proper analysis. The talent’s undeniably there in abundance, but Klopp currently feels fielding him is a risk. With Adam Lallana back, his chances in central midfield have diminished, too. A loan move to a lower Premier League, or even top Championship side, could do him good.